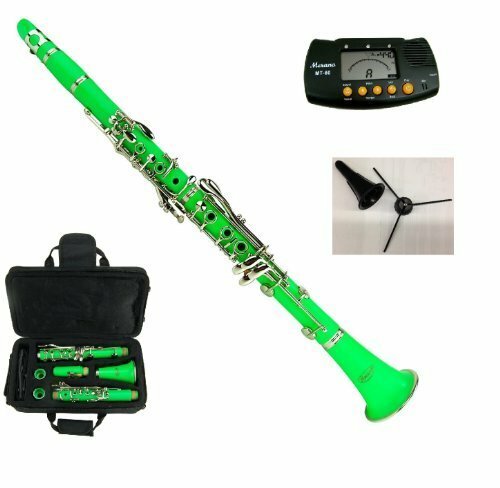 New Merano B Flat GREEN / Silver Clarinet with Case+Metro Tuner+Clarinet Stand+11 Reeds by Merano at Bass Brass. MPN: WD401GR-RSM. Hurry! Limited time offer. Offer valid only while supplies last.